Secret Superstar earned ₹ 0.01 Cr between day 51-57, Now Total Collection ₹ 63.55 Cr ! Secret Superstar earned ₹ 0.08 Cr between day 44-50, Now Total Collection ₹ 63.54 Cr ! Secret Superstar earned ₹ 0.17 Cr between day 37-43, Now Total Collection ₹ 63.46 Cr ! Secret Superstar earned ₹ 0.40 Cr between day 30-36, Now Total Collection ₹ 63.29 Cr ! 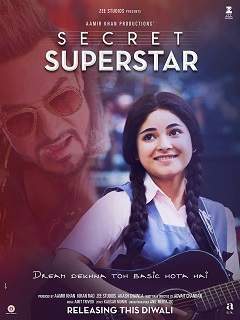 Secret Superstar earned ₹ 0.55 Cr between day 26-29, Now Total Collection ₹ 62.89 Cr !